The full program for the me Convention is now live! Join us in Frankfurt from September 15 to 17 as we explore the future through a lens of technology, design and art with today’s makers and thought leaders. 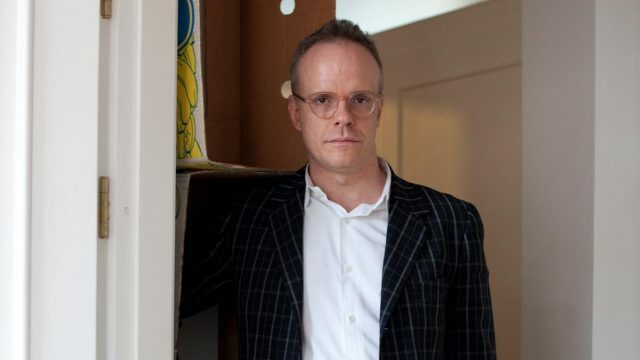 We’re thrilled to welcome prolific curator and artistic director of the Serpentine Gallery Hans Ulrich Obrist for a keynote address on Saturday, September 16. He will present on “The Handwriting Project,” a digital protest promoting the preservation of this analog form of expression. The project has evolved into an open, ongoing public art exhibition called POST_, produced with Los Angeles organization ForYourArt. Amber Valletta, Andrew Keen, Doug Newcomb, Dr. Sarah Richardson, Marta Riggins, Oliver Blank, Sasha Samochina, Bryan Lee Jr, Cristina Murphy, Dieter Zetsche, Amber Mac, Guy Kawasaki, Danny Shapiro, and many more. Explore Frankfurt’s hip Bahnhofsviertel community during Urban Hot Spots – the evening program invites you to enjoy the coolest in bars, clubs, restaurants, arts and live music that the German metropolis has to offer. Don’t miss performances by cloud rapper Young Hurn and German’s famed hip-hop group Beginner. Register today and book your hotel room. Want to find out more? Checkout the me Convention website. Stay up to date with announcements and happenings: subscribe to the newsletter.